Guerra is starting this month, and will report to head of international creative development Morgan Wandell, Variety said on Friday. Previously Guerra was Sony Pictures Television's senior vice president and managing director of production for Latin America and U.S. Hispanic. 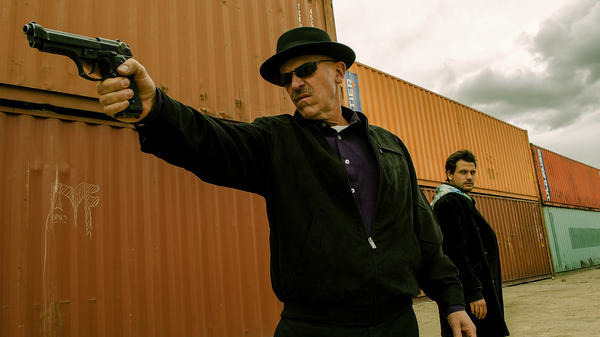 While many of Guerra's credits may not be familiar to English-speaking audiences, one of them is "Metastasis," a Spanish-language version of AMC's "Breaking Bad." Sony has been very fertile recruiting ground for Apple. Some past hires include development executives Max Aronson and Ali Woodruff, documentary series chief Kim Rozenfeld, and the people ultimately in charge of Apple's original video, Jamie Erlicht and Zack Van Amburg. Although Apple was once reported to be working on a "small" slate of original TV shows for 2019, that list has been growing continuously, most recently with a 10-episode thriller produced by M. Night Shyamalan. Other shows on the way include an "Amazing Stories" reboot, a sci-fi show by "Star Trek" and "Battlestar Galactica" veteran Ronald Moore, and a sketch comedy show with Kristen Wiig.